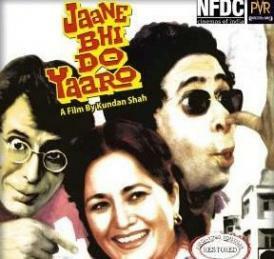 Kundan Shah’s classic black comedy – “Jaane Bhi Do Yaaro” will be re-release on 26th October 2012. PVR Director’s Rare and National Film Development Corporation (NFDC) would be jointly re-releasing digitally restored version of the film. The film would be showed across Indian cities exclusively in PVR Cinemas only. Legendary actor Naseeruddin Shah has played central role in this political satire.